Rohen sells, installs, inspects, and repairs fire suppression systems for Greater Toronto Area buildings including hospitals, schools, nursing homes, restaurants, hotels, apartment complexes, and industrial facilities. In order to ensure maximum safety and compliance, fire suppression systems must be inspected at defined regular intervals as per Ontario Fire Code and NFPA standards. Rohen can conduct these inspections for you at times that are least disruptive to your business. Stay focused on your primary business objectives, knowing that your fire suppression system is in top working order to protect you from threat of non-compliance, property damage, injury, and business interruptions. Systems tested and approved in accordance with applicable ULC, NFPA standards. 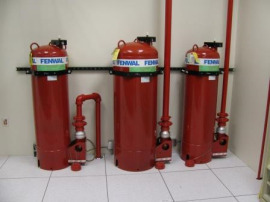 Engineered carbon dioxide fire suppression systems. Wet and dry chemical fire suppression systems. Options such as mechanical fusible links, electrical thermal detectors, flame detection, water detection, flammable liquid storage areas. Upgrades from dated and lower-perfoming systems are available. 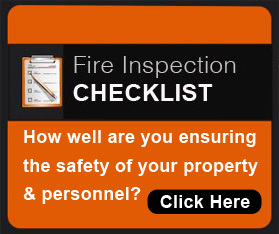 Are you fire inspection ready? Download our checklist and find out!